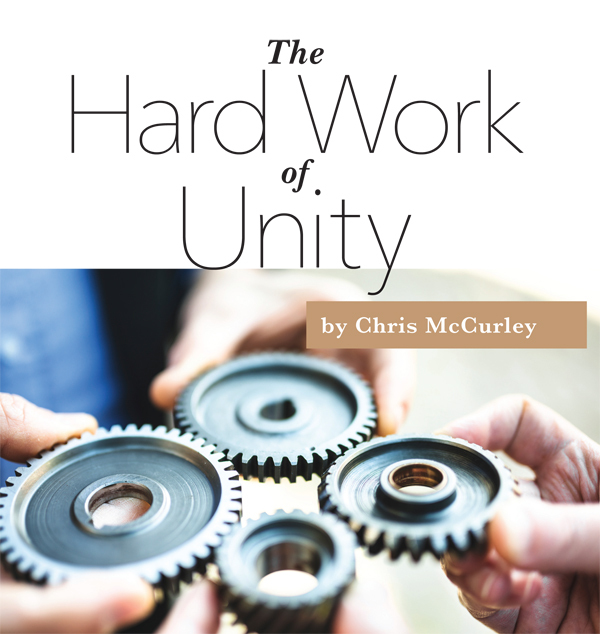 Unity did not come easily in the Lord’s church of the first century, and it certainly doesn’t come easily in the Lord’s church today. People fill our auditoriums every Sunday and Wednesday with all sorts of personalities from a variety of backgrounds with many personal scruples. There is a wide variation from one brother or sister to another. Some have been Christians for many years, and others are babes in Christ. Some have deep biblical knowledge, and others have much to learn. Some tightly cling to certain sacred cows because to let go of them would violate their conscience. And some see these sacred cows as, perhaps, silly or splitting hairs. Personal opinions are not always wrong. Everyone holds opinions, and everyone is entitled to do so. But when it comes to opinions and the Lord’s church, some guidelines have to be set. Many opinions have absolutely nothing to do with biblical truth. They are personal opinions. Many who hold these views do so with such deep conviction; they become matters of salvation in their own minds. When this happens, opinions are forced on others within the congregation. What was once a personal religious opinion becomes a matter of life and death spiritually and, in turn, a source of contention among the brethren for all those who refuse to accept the scruple as absolute truth. As a minister of the gospel for 14 years, I have come in contact with many individuals who promoted their personal sacred cows. Sadly, these sacred cows became a point of contention and threatened to divide the congregation. Opinions such as the King James Version of the Bible as the only valid translation or men wearing a tie and women wearing dresses to worship are just a few of the issues I have witnessed threaten the unity of the local church. This should never be. There is nothing inherently wrong with many of the scruples people adhere to; however, we are wrong to bind these opinions on the brethren. Paul approached the subject of religious scruples in Romans 14 where he discussed the contrast between the weak and the strong brother. The weak brother is not as mature in the Christian faith. He has some doubts (v. 1). He sees meat and wine as a stumbling block (v. 21). His conscience is not ready to accept certain things God has allowed. Paul characterizes the weak brother as being unable to clearly discern between matters of faith and matters of opinion. Paul exhorts the weak brother not to violate his conscience; however, he is not to sow discord among the brethren either. It would be easy for one to make the passing judgment that the weak are the ones who need to step it up. After all, they’re weak. They need to get stronger. They need to get over their little hang-ups, move past them and get with the program. But notice that the bulk of Romans 14 is not focusing on the weak brother but, rather, the strong brother. The strong brother is confident that God has accepted him (Romans 14:3). He is strong in the faith. He is a Christian who enjoys the freedom of being in Christ without violating his conscience. Paul admonishes the stronger brother to accept his weaker brother. He is not to despise him (v. 3). He is not to show contempt (v. 10). He is to get along with his brother, even though they differ on matters of opinion (15:1). The stronger brother should not destroy his brother with his liberty (14:15, 20). A strong brother must care more for his brother than for meat. He must care more about the Lord and His church than for trivial scruples. In short, he must care more for the brethren than for himself. We must be prepared to restrict our rights or our freedom for the benefit of others. We may have to give up personal freedom to do things that are unimportant in the grand scheme of things but may negatively impact others. The goal is unity. That is the thrust of Paul’s admonition to both the strong and the weak. When all was said and done, Paul’s resolution to the matter was to accept one another in spite of scruples. Paul was not only suggesting that strong believers accept weak believers but also commanding it. To accept or receive them means to treat them as a brother or sister in Christ, to swallow our pride and to set aside our petty differences for the sake of the church. We must not be stricter than God is. If God has accepted a brother or sister, so should we. We cannot unite on falsehood. We must be united in the truth, not opinions. Here’s a truth we all need to see when it comes to scrupulous matters that often divide us – somebody doesn’t have to be wrong. Seeing things from two different perspectives doesn’t necessarily mean that one person must be wrong while the other must be right. Opinions should never be bound on another or present a stumbling block to fellow Christians. Chris McCurley is the minister at the Oldham Lane Church of Christ in Abilene, Texas. He may be contacted at cmccurley@oldhamlanechurch.com.